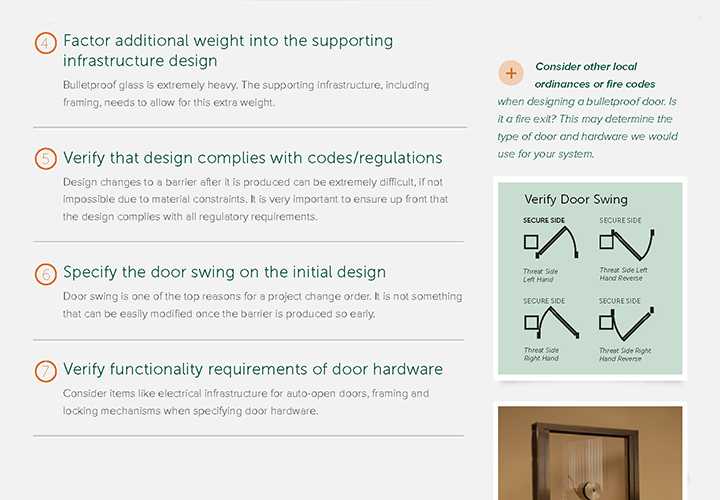 Project success is in the details. Working on a bulletproof barrier project? 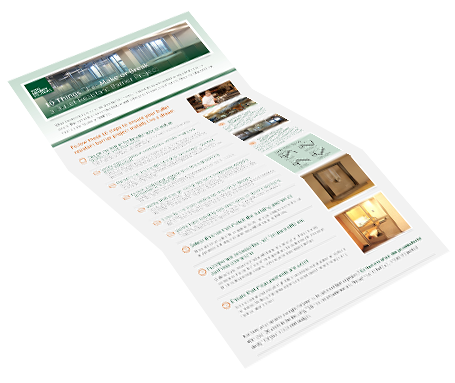 Use this checklist to avoid common pitfalls and costly project delays. 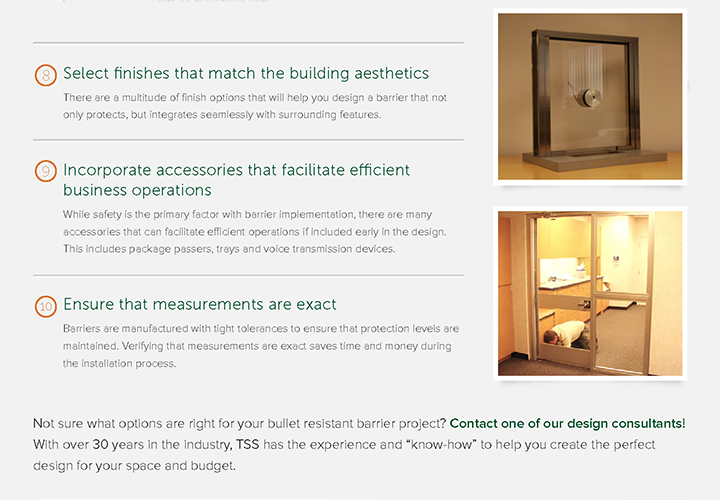 10 Things That Will Make or Break Your Bullet-Resistant Barrier Project is a great resource to learn about bulletproof material weight and size, which measurements to take, and how to select the right bullet-resistant accessories for your building. "This is a first-rate company. They sell an excellent product and will go out of their way to do what is needed to get the job done. The customer service is top notch."